Movement is important to get from one place to another. We change location using one form of transportation or the other. Your cat also needs some form of transport. 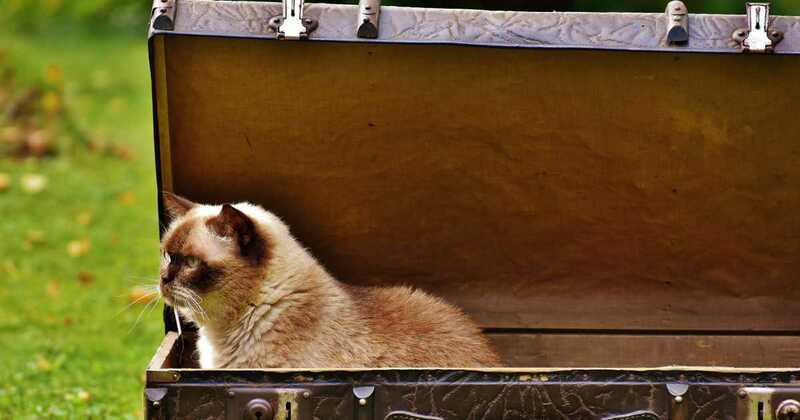 Cat carriers which are also called crates or travel shelter are the means to carry our feline friends safely from one place to the other. Simple trips like going to the veterinarian for health issues or going on a vacation with you need a cat carrier. Your cat needs to travel in comfort, safety, and style. For your peace of mind and your feline’s protection, you should invest in the best cat carrier you can find. Not only will it make traveling convenient, but you will have a happy and healthy cat who is not exposed to danger. So whether it is a road trip, train or via the airplane, your cat can also come with you. Below are ten best cat carriers you won’t regret buying. Your cat’s safety is paramount. This is the primary reason why you need a cat carrier in the first place. You want your cat to be safe while in transit. 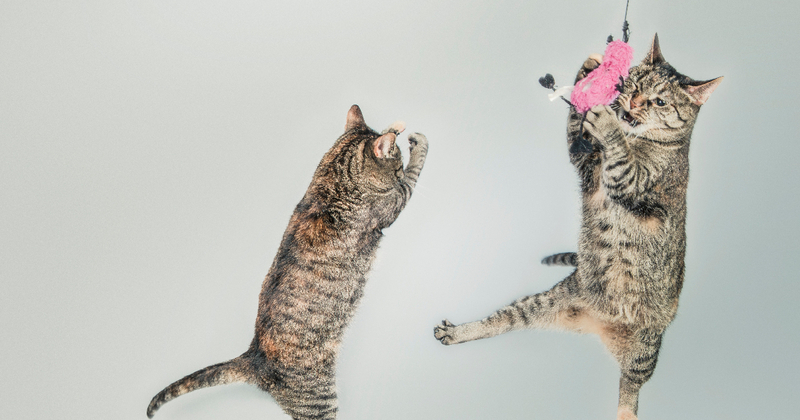 Some cats are great escape artists that are finicky with their paws. Burmilla and the Burmese cat breed have been known to open locks and kitchen cabinet. Check for cat carriers with security features especially if you have got the boisterous or naughty cat breeds. Carriers with lock zippers, double zippers, secure lock system, and strong latches or clasp. This factor determines if the carrier can really carry your cat’s weight. It has to do with the load capacity of the carrier. You don’t want to put your feline baby in a carrier and find her on the floor because the carrier could not hold her weight. So check the load the carrier was designed to carry and compare to your cat’s weight. It is recommended to pick a crate that can carry slightly more than your cat’s weight. You don’t want to have your cat cranky or anxious because the journey was uncomfortable. 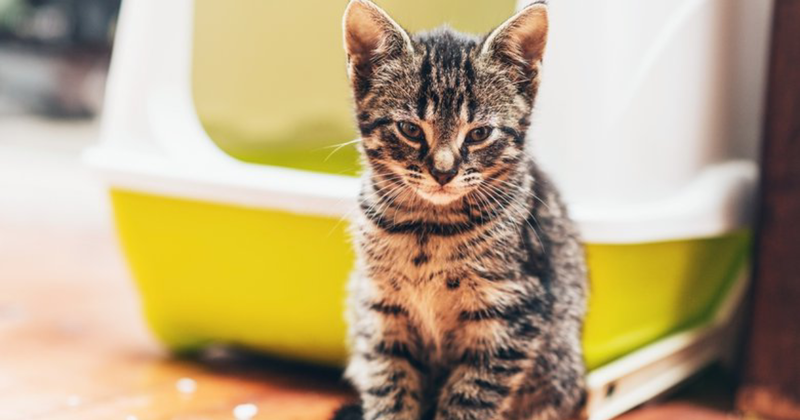 Long trips can be tiring and stressful even for cats that love the outdoors, however, if you have a nervous cat, you will want to take extra preparations in ensuring its comfort. Pick carriers that have warm interiors for the winter. Some carriers have blankets and fleece bed to keep your furry snug. If you can’t get a carrier with a fleece mat then, get a carrier that can allow you fit in your cat’s favorite mat, an electric blanket or bed. Also, carriers should have mesh or ventilation slats. This is vital to keep the carrier airy and ventilated particularly in summer. You need to get a carrier that is big enough to allow your cat to stand in and turn over without being limited. Many airlines have size restrictions, so you should pick carriers that pass most of the commercial transportation requirements. It is key to get the exact measurement of your cat’s size. The standard is to measure the outer edge of your cat’s chest to the outer part of the rear for the length. The height is to measure from the floor to the head of your cat. Add a maximum of 4 inches to your measurement to determine the size of the carrier you choose. Cat carriers are made from plastic, metal, canvas, nylon, polyester, steel, wire, mesh and stainless steel. Sometimes it is a combination of two or more. Each material type has its own advantages and disadvantages, but you should look for durability. Carriers with durable characteristics will last longer and you won’t have to buy a new carrier anytime soon. Also, lightweight materials will be easy for you to carry. The way a carrier is maintained may increase the lifespan. Maintenance includes cleaning and storage. Cat carriers that allow you to reach corners, remove inserts and wash without degrading the material or affecting the construction of the carriers should be preferred. Check the material type and instruction for cleaning. If it states to hand wash, then don’t wash in a machine. If you are only allowed to spot clean then follow the exact instruction. Foldable carriers are also great because you can store them away safely. It reduces the chances of the carrier been exposed to elements that will destroy it. Some carriers have multipurpose. If you have a cat house or bed that can also double as a carrier that will be great. It will be less expensive having one cat accessory that can do all than having to buy separate cat accessories or furniture. Also, having a versatile carrier will help save space in terms of storage. You should get carriers that have more than one opening. This is because it gives you options for loading and offloading your cat. 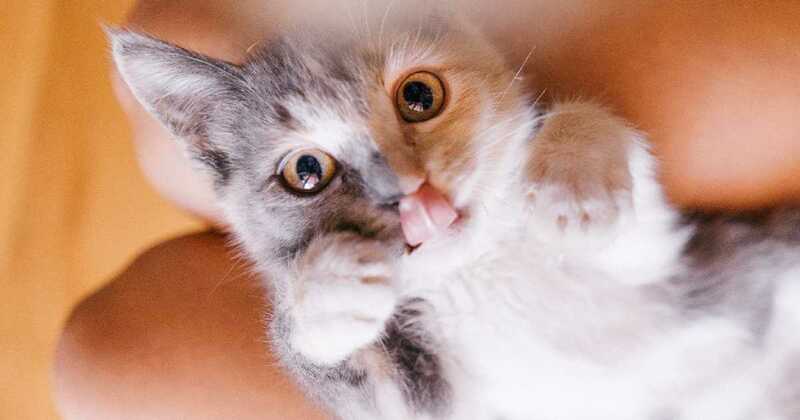 If you have to visit the vet, for instance, a squeamish or aggressive cat may be difficult to bring out of the carrier that has only one opening. You may get scratched or bitten. It is advisable to have both top and front openings. Your cat can stick its head out on top for sightseeing as well. There are majorly four types of carriers on the market. Each has its pros and cons. It is all a matter of preference and needs. They are more common. The name hard is derived from the type of material that is used to make them. Hard carriers are generally made of plastic and a lightweight metal. The body is usually made of plastic while the door or opening is made of metal comprising of wire mesh, steel or stainless steel. You can be sure in case of an external threat, your cat will be secure in this type of carrier. However, because of the materials, hard carriers are made from, they are quite cumbersome to carry around. You are either have to wrap your hands around it or carry it with your palms. Most have handles to carry with, but you are left worrying if the handle can bear the weight of your cat and the carrier itself. They are made of synthetic fabrics like nylon, polyester, canvas, and others. They are soft, flexible and customizable. 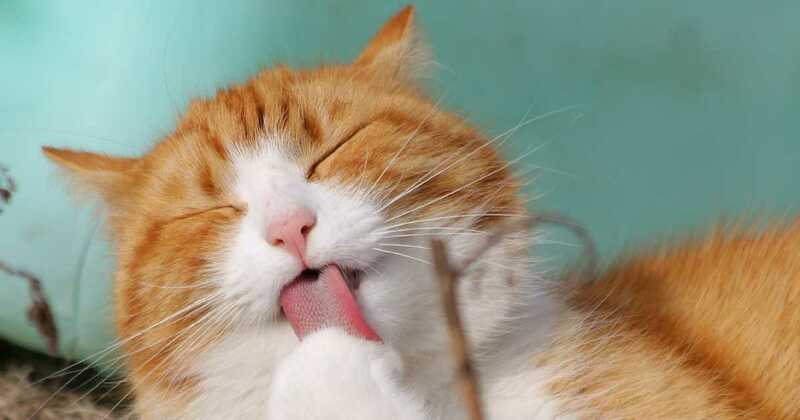 Cats also find them comfortable, because it does not hurt their skin when they rub on it while in transit. The interiors are mostly padded or have some wool inserts that provides that extra comfort. The materials used in making soft carriers makes them lightweight and easy to carry around. Soft carriers have more intricate designs, like flaps or fold that can be put down when your cat needs no distractions to keep calm. They are also easy to store, fold and put away. Soft carriers are also fitted with adjustable shoulder straps and seat belts. You should check that they are made with durable material, a solid bottom, and good construction so that it does not collapse in on your cat. If you have cats of large breeds, then the suitcase carrier might be ideal. This carrier can bear the weight of a large cat and not put a strain on your shoulders, back or hands. They are designed to be roomy and comfortable. It is basically, a soft cat carrier on wheels. Although they can be expensive, it is worth the investment and convenience. Avoid carriers with squeaky wheels that may aggravate your cat and make him anxious. You can choose from five different sizes. It is easy to clean and access corners with the wide door. Carrying it is a breeze because it is lightweight. You rarely find a hard side cat carrier that can fold so easily and conveniently. 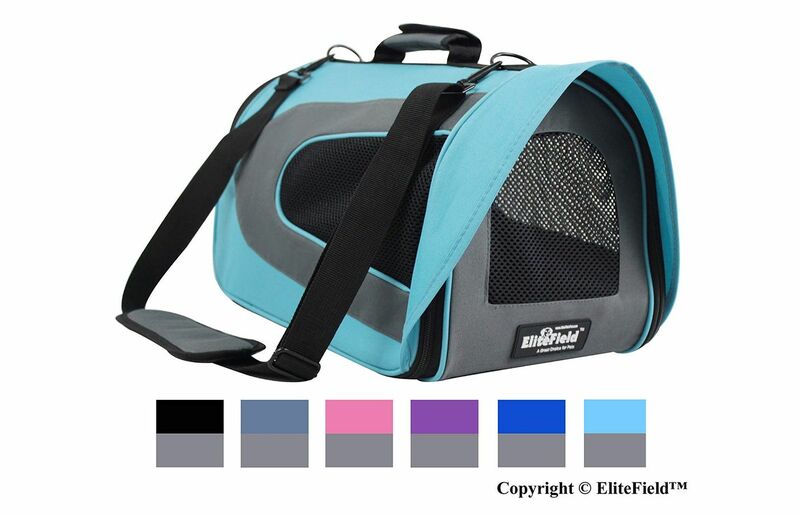 This is a 4–in-1 multipurpose cat travel carrier. It is a carrier on wheels, can be used as a backpack, a car seat and also a cat’s bed. You can use it to carry your cat in any situation, catching a flight, hiking, driving or at home where he can sleep. The good news is that you and your feline can fly in style since the carrier is airline approved. There is a multistage telescope handle that is designed for your comfort. You can easily adjust the handle to your preferred level while you roll your cat alongside. There mesh panels on three sides of the carrier, guaranteeing full ventilation. You can choose from the medium or large option depending on the size of your cat and needs. It comes with an assembly instruction that shows you how to convert it to the four purposes of the carrier. 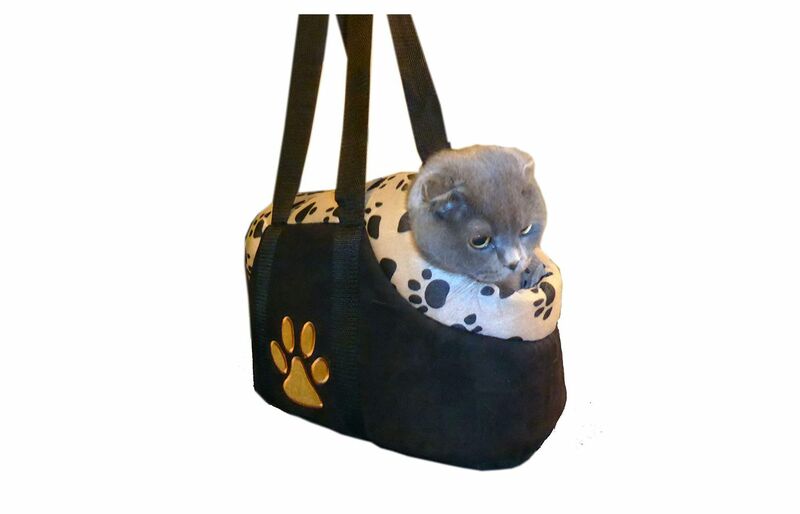 It has side pockets that you can store treats, snacks, and toys to make the trips more pleasurable for your cat. This is an almond and black colored plastic kennel that would house your cat nicely while you are on transit. 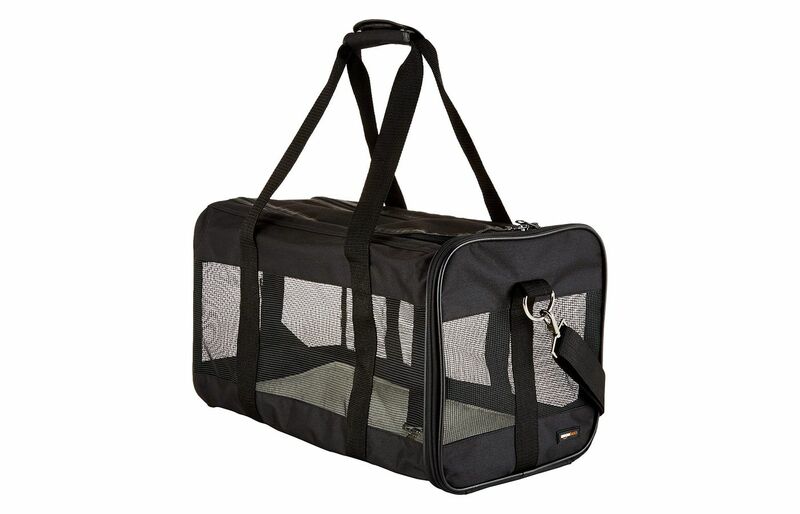 This hard cat carrier has a front opening that is made of wire mesh and a spring-loaded latch. In addition, there is an interior moat that keeps your cat’s paw dry in an event of an accident or spill. It is designed with a foldable top carry handle making it easy for you to carry the kennel while your pet is in it. To assemble the carrier is easy. The two halves of the kennel snap together to create the perfect shelter. The fact that it can be taking apart makes it easy to clean. Also, it is fully ventilated on all sides by small holes including through the mesh door. Your cat can also enjoy looking at the passing scenery through the holes. There are various sizes to choose from, depending on the size of your cat. The plastic is made of 95% recycled material, therefore, it is eco-friendly and safe for your feline. This carrier is large and can carry a weight of up to 22 lbs. It is made of mesh materials with patented spring wireframes that allows it to compress slightly to fit under an airline seat. It is both top and front loading and the zips can lock ensuring your cat’s safety. For you carrying your cat is more convenient with the padded no-slip strap. Your cat can also remain comfortable through the whole trip because of the faux lambskin liner within the carrier. Furthermore, you can pick other smaller sizes if you prefer. You and your cat can be safely strapped in with seat luggage strap that this carrier has. You are sure to attract approving attention with this original plum color. This soft-sided carrier is easy to clean. Even the lambskin liner is machine washable. There are many spaces for your cat’s treat and toys in the rear pockets of the carrier. A fearful cat can rest easy because there are see-through holes that keeps it from feeling claustrophobic. At the same time, there is adequate ventilation for your cat even in closed off spaces. The carrier is fitted with a mat a super soft padded mat keeping your cat comfortable all through the ride. It is easy to assemble and put together. You can also clean with damp cloth or soft brush when necessary. This is a black carrier made of mesh. It has a recommended load of 10kg or 22 lbs. It can keep its shape even with the weight of your cat. There are different sizes to pick from, this is large. It is designed with a loop handle that doubles as the seat belt during transport. Also, it can fit under the seat of most airlines. The Amazon Basics has both front and top openings which gives you two options of loading your cat. You can choose the one most convenient at any point in time. It has a machine washable fleece for the comfort of your cat. You have nothing to fear, your feline will be secure and comfortable. You can even make it more comfortable by fitting in your cat’s favorite mat for short trips. On longer journeys, it is best to fit in her bed so that she can be even more relaxed and comfy. However, the carrier itself should only be spot cleaned. If you are one who doesn’t like having so many cat accessories or furniture in the house either because of space or clutter, then this free cat cage is an answer to your prayer. It serves a dual purpose. 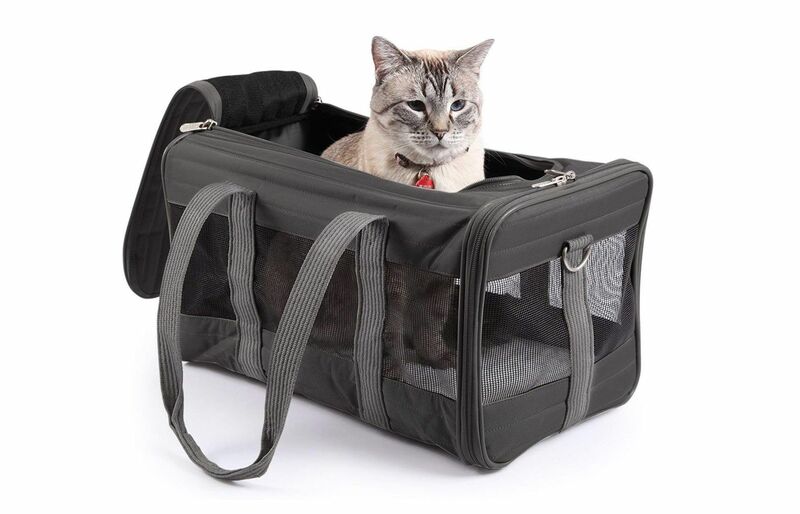 Your cat can lounge in it at home and you can also use it as a carrier on short or long trips. This cat crate is versatile and beautiful. It has an easy-open and foldable design. After getting to your destination with your cat babies you can easily store away. 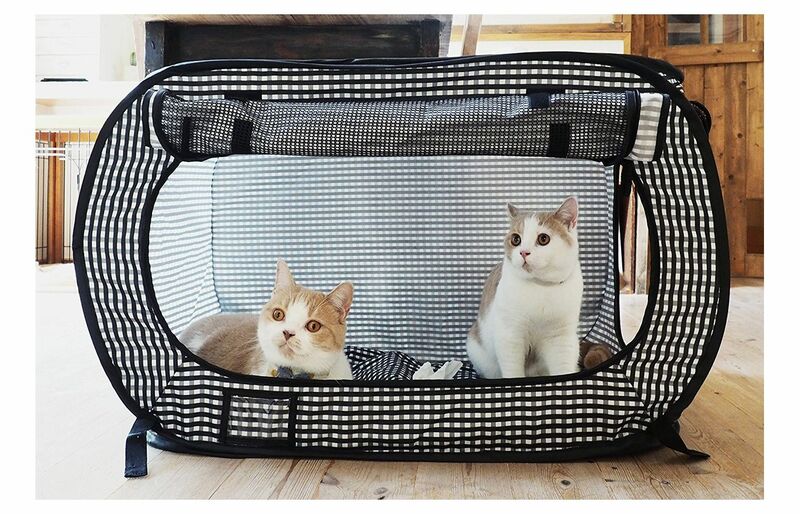 There are two mesh panels that allow your cat to see its surroundings and enjoy fresh air circulation within the carrier. You can either roll the mesh panels up or down as needed. While in the car or airline, you can easily use the built-in seat belts. In addition, the cat carrier is large enough to fit in two cats with enough room to spare. If you have a nervous cat, she can ride along with her feline sister on road trips which can help ease the anxiety. 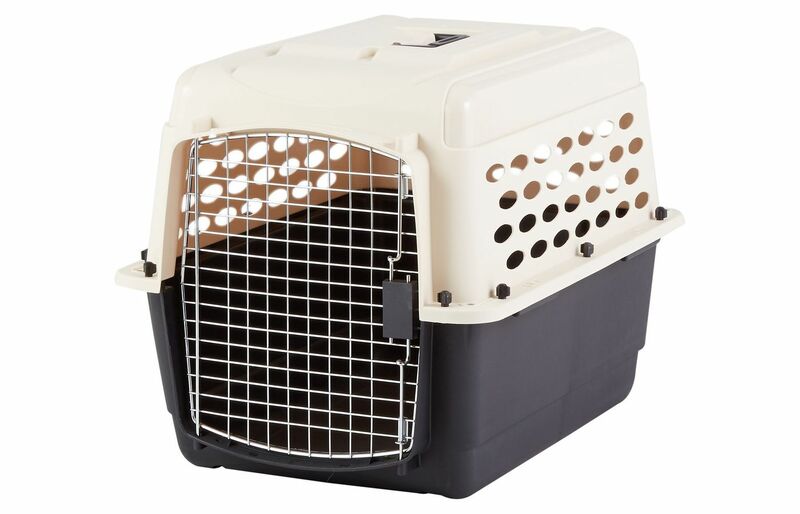 This is a travel cat crate that is designed for safety, comfort, and convenience. It is made of steel frames and polyester exterior that ensures that it remains durable and upright. Although it is a soft-sided carrier, it is built to support cats that weigh up to 14 lbs. or less. The carrier is top opening and is airline approved. 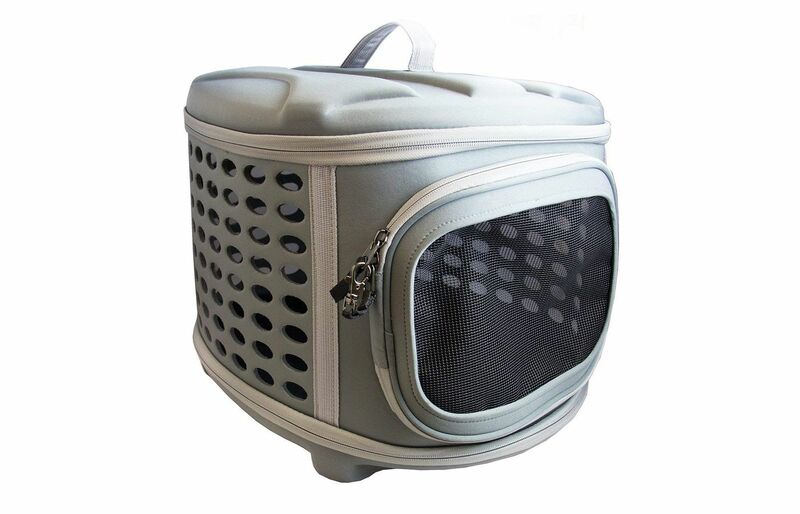 The Petyella cat carrier is a three-piece cat crate that comes with a machine washable fleece insert and a paw print blanket. Also, there are heavy duty swivel thumb clips ensures you don’t experience twisted shoulder straps when carrying your beloved cat. There is provision for your cat to eat just like you by using the collapsible cat bowl. It is made of silicone, non-toxic material that can be washed in the dishwasher. You can easily attach the bowl to the D-ring using the carabiner clip while on transit. To clean the carrier, just wipe with a damp cloth. You have a no question asked 100% guarantee that is valid for a year with this purchase. 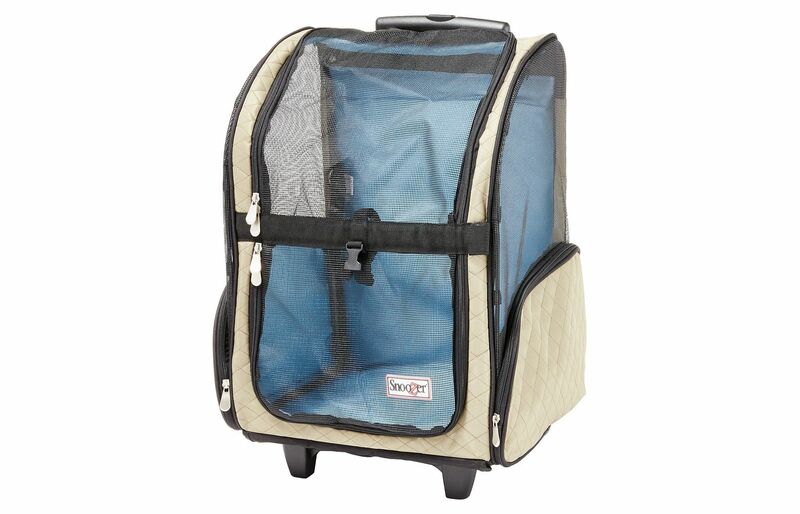 The HDP cat carrier was designed for day trips around town or short trips to the vet. Although it is not airline approved you don’t only have to carry your cat cross country or intercity. You may want to go shopping with your cat, go visit friends or for a walk in the park. This carrier was designed in a stylish and modern way. 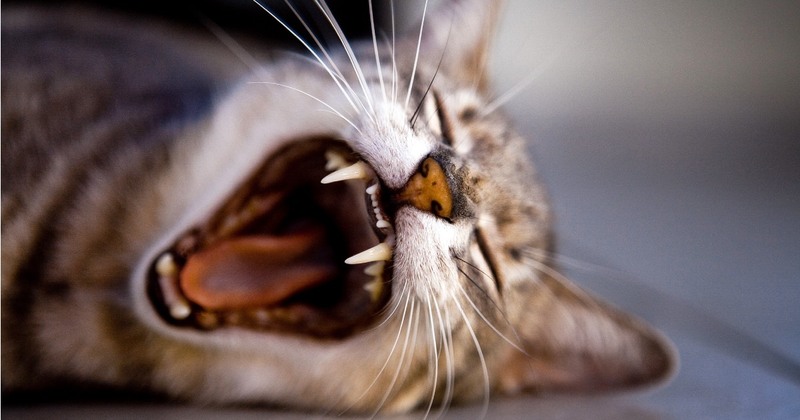 Your cat can stick its head out or lay down for a nap. It is for extra small breeds of cats who weigh a 10 lbs. or less. Nervous cats will prefer this carrier because they can feel your warmth being close to them. It comes in both medium and small size. There is a waterproof bottom so your cat will be warm and dry in case you accidentally place the carrier on a wet spot. Your cat can slip is head through the opening at the end. You can wash in a machine or hand wash when necessary. The carrier should be left to air dry. This deluxe soft cat carrier is made of canvas material. It is easy to use and assemble. All you need to know is how to work a zipper. The material is lightweight, waterproof and therefore more durable than some other soft-sided cat carrier. It has a removable hard support base that keeps the base of the carrier sturdy. 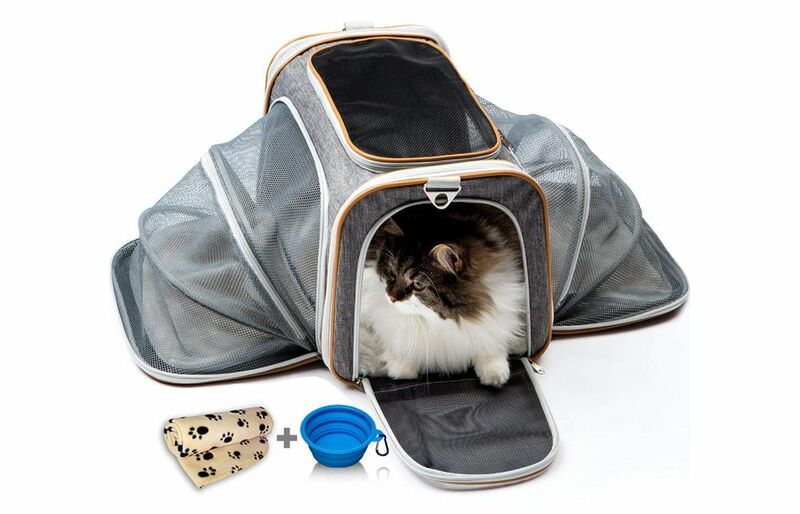 With a mesh on both sides and the top, your cat can enjoy sunlight and air while traveling with you. Some special features that come with the carrier are the soft washable bed and the built-in leash. These will ensure your cat’s safety and comfort. Furthermore, you can fold down the carrier to only 3-inches high and store away. There is an adjustable strap that doubles as seatbelts and shoulder straps. In addition, you get a three-year warranty and a 100% money back guarantee. You also have the option of choosing from multiple dual color options. Why you need a cat carrier? 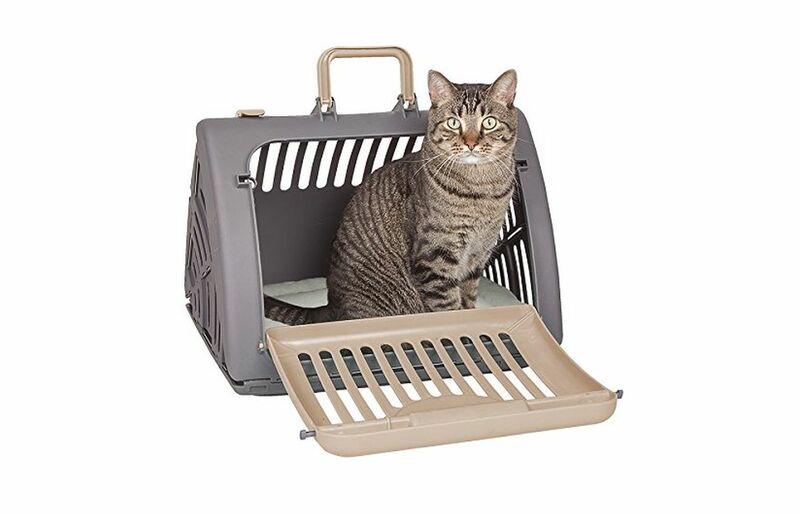 It should be an obvious choice for getting a travel crate or carrier for your beloved cat. One major reason is that with a carrier, your cat will be safe through the bumps and shakes of your trip. If you are not fully convinced of its necessity, other reasons include being sure that your cat won’t jump out or escape on transit. Also, you will get to enjoy the trip: Being a cat parent, you are concerned about the safety and comfort of your cat. Every meow and cry from your cat have you looking in its direction. With a carrier, you can be free of the pressures of keeping your feline safe and secure. 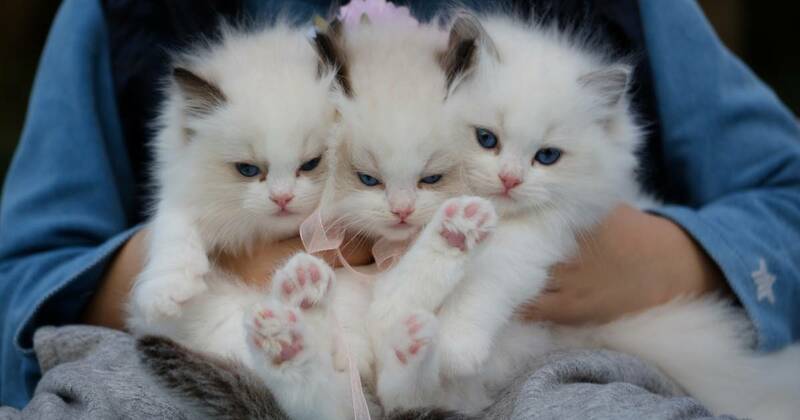 Cats are of different breeds, sizes and heights, as such you must consider the size and breed of your cat before choosing a cat carrier. Most cat carriers are designed in various sizes to meet the size requirements. You have brands with more than six sizes of the same cat carrier and at least three sizes. Usually small, medium and large is a general size available. It can be more specific when the inches of length, breadth, and height is stated. It is recommended that you measure your cat before buying a carrier. Measure from head to tail and head to paw. Do not use the supported weight to determine the cat crate to buy. Lastly, always a size bigger than your cat’s measurement. This will give your cat room to move around.